What: You are cordially invited to join Plotist, it's team, and some guests, as we work to achieve our NaNo writing goals. 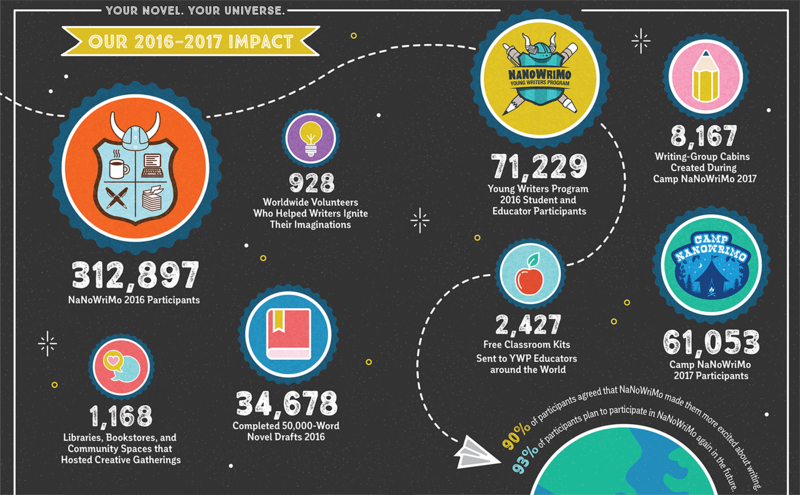 If you can, donate to the NaNoWriMo charity which brings free creative writing programs to many around the world. During the event we'll have team word count challenges, writing sprints, guests, fun music (with thanks to ccMixter's sister site Dig! ), a chance for you to join us live on stream, and more. Where: We will be streaming on our YouTube channel. Exact links will be posted soon. @josey Sounds perfect!!! How do we break into teams? Edit: Time conversion makes this an afternoon of writing dangerously for me... Time Zones know me so well. @Blackbird Bring it! :D Let's be dangerous together! @czarbuckz Holy cow. Ari'fa looks soo good! Thank you so much! That last incentive was so needed to keep going! :D And you're so skilled! It's awesome! :D And now I sleep. My internet wasn't cooperating but I checked in when I could on my phone. I had a lot of fun, and I got a pretty good word count, too. Planning for our next one on the 25th!! Sadly tonight's "Nov 25th" LIVE stream is cancelled. Hopefully you're all working towards your NaNoWriMo goals! And remember to let us know if you're participating in ccMixter's Under the Tree event! I'm still gonna write a bunch of words in your honor. Awesome! Keep it up you wickedly talented writers!